The Quality Inn near Seaworld is conveniently located just two miles from SeaWorld San Antonio and four miles from Lackland Air Force Base. The San Antonio International Airport is less than 10 miles away. 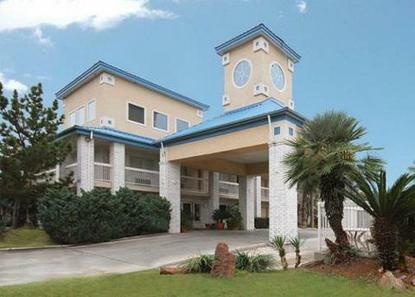 This San Antonio hotel is also close to the Alamo, the world-famous San Antonio River Walk and Six Flags Fiesta Texas theme park. No adjoining rooms available.